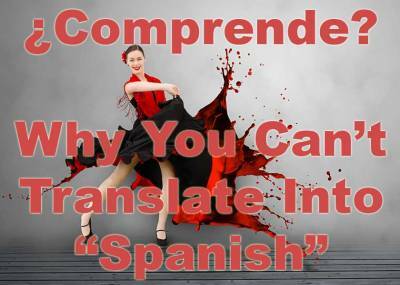 Often when we ask our clients what type of Spanish they need for a translation project, they simply say “Just give me the best Spanish.” Once we explain that there is no “best,” they move on to request a “universal Spanish,” which is also an impossible task. Spanish is the most widely spoken romance language and has the second most native speakers in the world. Most Spanish speakers live in Central and South America, and 21 countries list it as their national language. Spain has a population of 39 million, and Mexico has 100 million. Argentina has 36 million people and Chile 15 million. With all the different Spanish speakers in the world, there is no one “best” type of Spanish. Spanish speakers from disparate areas recognize differences in a variety of ways. It is important to know the different types of Spanish and the best on suited to your target audience so that your project can be translated and localized accordingly. Keep reading for an exploration of the differences between Spanish spoken by people around the world and how they impact yourtranslation, localization or interpreting project. Where a person is from and how they feel about their traditions will dictate what they call the language they speak. The Spanish used in Spain is frequently but inaccurately called “Castilian.” If you look at linguistic terminology reference guides, you will see that Castilian was a dialect from the area of Castile, and was based on the language spoken at that time. Castilian is therefore not a good term for modern-day Spanish. However, this does not stop some from referring to their language as Castilian or Castellano. If you look at a Spanish dictionary and see “Diccionario de la lengua Espanola,” it was probably produced in Spain. Latin Americans call their language Castellano. When targeting translation or localization project for different audiences, it may be important to understand the sensitivity, which contributes to a desire for using the term Castellano rather than Espanola. Unlike with languages such as Chinese, most Spanish-speaking people can understand each other even with the different Spanish variations. Pronunciation, however, is an immediate indicator of where the Spanish speaker is from. While these differences in pronunciation do not stop your audience from understanding, they are an important consideration when hiring an interpreter or when having video or multimedia localized. Be sure that any Spanish speakers you hire have pronunciation that matches that of your target audience as much as possible. The largest differences between Spanish variants are lexical. Spanish-speakers from different places may use different terminology. There are differences in Spanish variants between the specialized terminology they use, how much they translate, the use of indigenous terminology and how their type of Spanish has evolved. All of these differences mean that, when possible, a different translated version should be created for different locales. Below are some important considerations for different types of Spanish. Another consideration between types of Spanish is that in Spain they translate everything, whereas in Latin America they use more “Americanizations” for words. For example, a computer mouse in Spain is referred to as ratón whereas in Latin America it is simply referred to as mouse. In Latin America, Mexico, the Andean nations and certain parts of Central Latin America, indigenous terminology exists. Some of these terms simply don’t exist anywhere else, so untranslatable terms occur. Language evolves to produce new interpretations of old words and new words altogether. For example, old world terminology for car is “carro,” while the new world version is “automovil.” In other nations they use “coche,” but “coche” in Guatemala means pig. Ordinary everyday words can vary in the extreme. After five centuries of geographic separation, the lexicons vary most in areas of terms that have been introduced since the Spanish Conquest and colonization. This is in part why technological or scientific terms differ so much between variants. When supporting multiple locales, it is best to get the terminology agreed upon up front and have linguists from each region working together to resolve differences. During the translation process, small discrepancies between different regions can yield unanticipated and unintended results. It is important when requiring Spanish translation or interpreting services to consider the different Spanish dialects by location and region. There are five major regional variations or dialects of Latin America. These dialect regions can be generally summarized as being highland areas and lowland areas. The variants spoken in highland areas are more similar to each other than the dialects spoken in the lowland areas and vice versa. Therefore, someone from an Andean nation would probably understand someone from Mexico more easily than someone from Argentina. Central America is somewhat of a mixed zone, because it doesn’t fit in either of these categories. It is influenced by Mexico from the north, but also by the Caribbean from the east. Below are the Latin American dialectical regions. Mexico has both the largest percentage and highest population of Spanish speakers. If you haven’t guessed by now, there are important differences between the Spanish in Mexico and that spoken in Spain. Differences in common household words. Miami, Florida also contains a very high population of Spanish speakers (1 million people). For translation or interpreting for consumer publications or for hospitals, court interpretations, legal documentation, etc., special care is required because the population groups that are represented in New York are not the same as those in California. The Spanish spoken in these areas varies widely. Further confusion occurs for places like New York City or Miami. In these locations, there has been significant long-term integration. If one compares that group to the concentrated immigrant population in California, they are from a totally different socioeconomic and educational background. The Spanish-speaking Cuban-base in Miami cannot be communicated with the same as the newer Mexican populations in California. After reading this blog, I hope that you have a better understanding of the differences that exist between types of Spanish and why it is impossible to just translate into one, universal “best” Spanish. It is important to be aware of these differences and to consider your target audience when you select the type of Spanish you will use for Spanish translation, localization and interpretingprojects. Ideally your language service provider will discuss these Spanish differences with you and help you find the most suitable for your project. Be wary of any translation, localization or interpreting provider that does not question you on the type of Spanish you need for your next language project. What differences have you observed between different types of Spanish? Have you ever had issues because of the pronunciation or terminology that was used for your Spanish language project? Please share your thoughts in our comments section below.